Hearing the classic Charlie Daniels Band song, “The Devil Went Down to Georgia,” one may wonder the genre. Some could say it’s a folk song, others may say it is southern boogie, or that it is a country fiddle tune. One thing is for sure, most can readily agree that it is truly a Charlie Daniels Band sound. 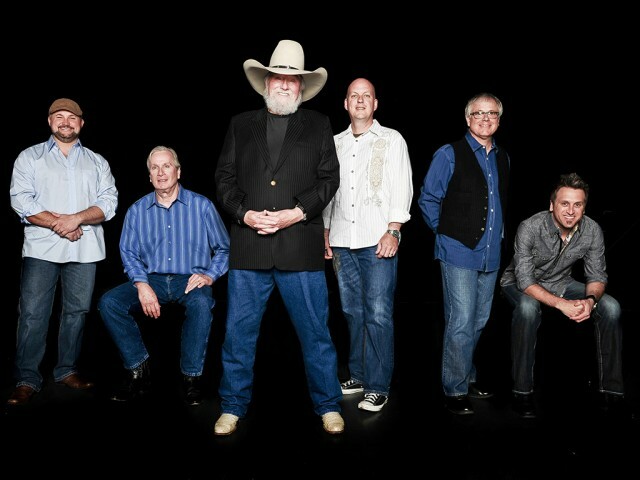 The Charlie Daniels Band still plays the memorable songs and the new tunes to fans young and old. 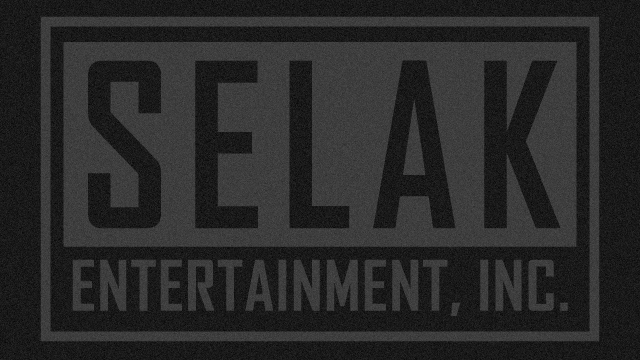 Having a catalog that spans over 50 years of recording and more than 20 million in sales is no small feat. In the summer of 1979 Charlie Daniels delivered “The Devil Went Down to Georgia”, which became a Platinum single, topped country and pop charts, won a Grammy Award, and earned three Country Music Association trophies. The song became a cornerstone of the Urban Cowboy movie soundtrack and propelled Daniel’s “Million Mile Reflections” album to Triple Platinum sales levels. Now over the age of 77, Charlie Daniels has focused his passion for music into a multi-platinum career and a platform to support the military, underprivileged children and others in need. He was raised among the longleaf pines of North Carolina, and began his career playing bluegrass music with the Misty Mountain Boys. He moved to Nashville in 1967 where he began making a name for himself as a songwriter, session musician and producer. Elvis Presley recorded a tune Charlie co-wrote titled “It Hurts Me”, which was released on the flip side of “Kissin’ Cousins”. He even played on such landmark albums as Bob Dylan’s “Nashville Skyline”. Soon his own unique voice as an artist emerged as he recorded his self-titled solo album in 1970 for Capitol Records. 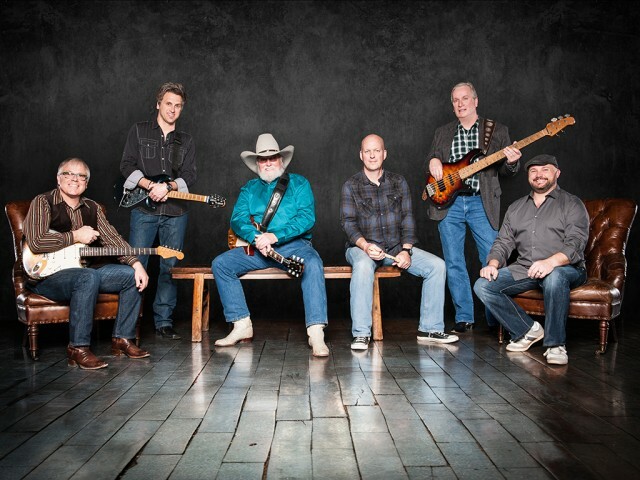 The Charlie Daniels Band still showcases Charlie’s vocals, songwriting, and his talents on guitar, banjo, fiddle, and mandolin. The band’s lineup includes Bruce Brown on lead guitar, Chris Wormer on guitar, Charlie Hayward on bass, Pat McDonald on drums, and Shannon Wickline on keyboard and piano. Having such a talented group of musicians on stage makes for some great performances. Influences from the bluegrass, gospel, country, rock, and blues genres continue to permeate the band’s legacy. 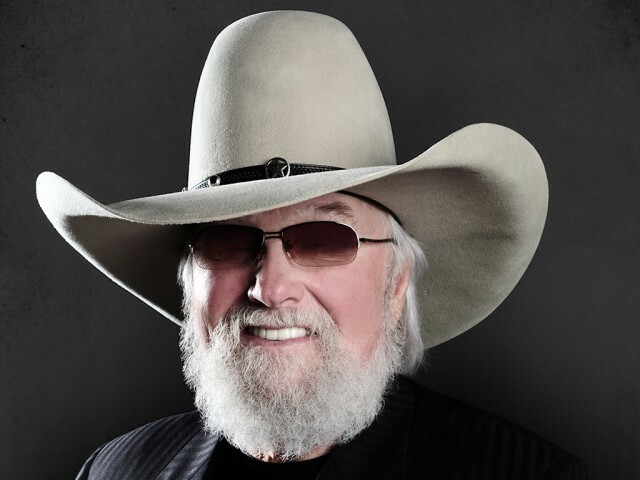 Emblematic southern working class solidarity combined with the “lone cowboy” individualism of the American West – it is not so much the style of music, but the values reflected that has connected Charlie Daniels with millions of fans. The Charlie Daniels Band’s legendary coast to coast tours often toured for more than 250 days a year and had logged more than a million miles on the road. This touring legend has been documented by ABC ‘s 20/20. In 1998, top stars and two former Presidents paid tribute to Charlie Daniels when he was named the recipient of the Pioneer Award at the Academy of Country Music’s annual nationally televised ceremonies. In 2008, Charlie’s lifelong dream became a reality when he was inducted as a full-fledged member into the Grand Ole Opry. The band supports giving back to their community and country through more than their music. In fact, Charlie has many causes close to his heart. A staunch supporter of the military and the Yellow Ribbon Program which provides scholarships for veterans, Charlie gains the help of other artists for fundraising concerts and other events. Other causes include the Jason Foundation Golf Classic, an organization that targets teen suicide prevention, and the Galilean Children’s Home in Liberty, KY which provides a home for abused and neglected children. Each year Charlie also hosts The Charlie Daniels Celebrity Golf Classic & Angelus Concert in Hudson, FL to benefit for The Angelus – which is full-time residential facility and day school program for the severely handicapped. Charlie has also been a member of the St. Jude Children’s Research Hospital Professional Advisory Board and a longtime supporter of the T. J. Martell Foundation and their numerous events aiding cancer research. As headliner every year for the Christmas 4 Kids concert at the Ryman Auditorium, which raises money to provide a happy holiday for needy children, Charlie shines brightly. In 2014, Charlie Daniels, with David Corlew and Joe & Mercedez Longever founded The Journey Home Project , a not-for-profit organization that assists in securing funds to help causes that benefit veterans of the United States Armed Forces. Conscious of the need to assist our nation’s veterans, they have set out to partner with organizations that do the most good with the least overhead. The Journey Home Project is making a difference in the lives of American patriots. 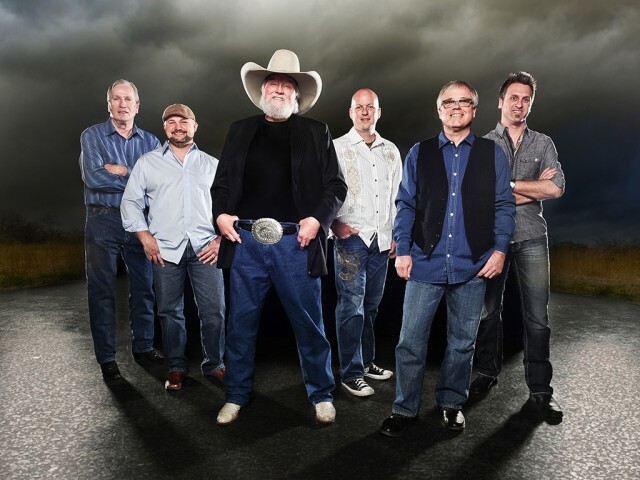 The Charlie Daniels Band performs entertaining shows for special appearances, full concerts, club events, casinos, and music festivals. Faithful fans will love hearing Charlie’s popular songs and catalog of engaging music while dancing and singing along.